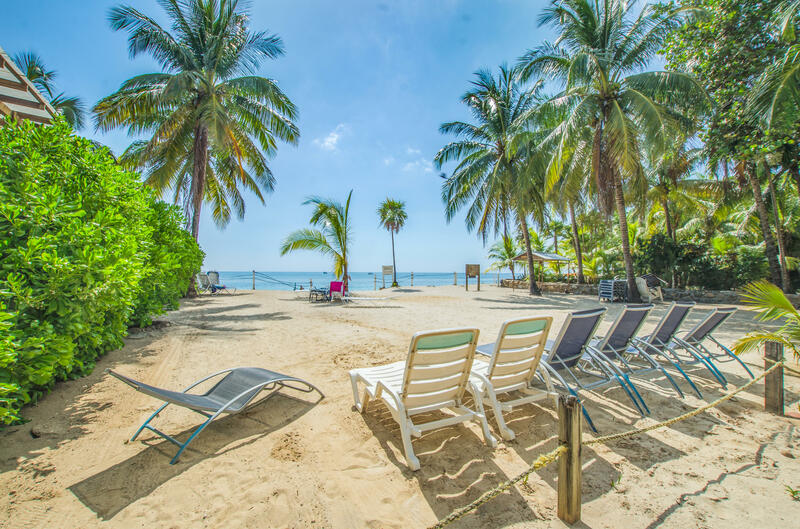 Street Name: Water off West Bay Beach. 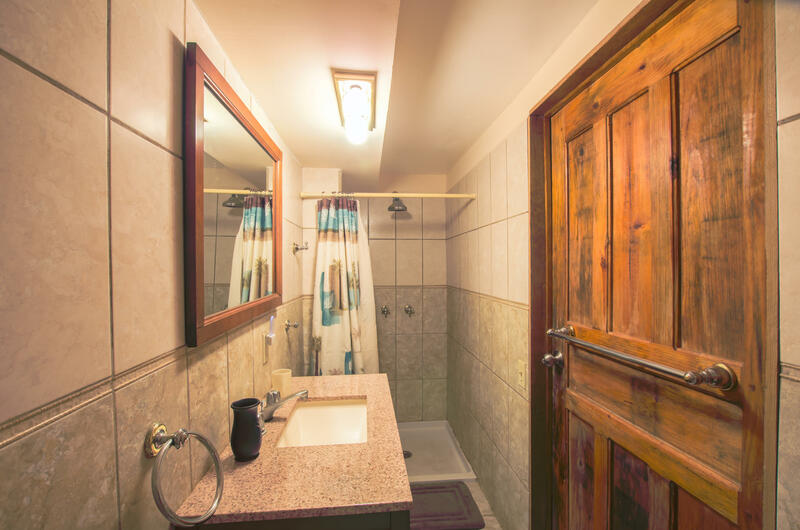 In the downstairs (ground floor) unit, both bedrooms offer en-suite bathrooms, providing ample privacy and space for everyone as rental options. 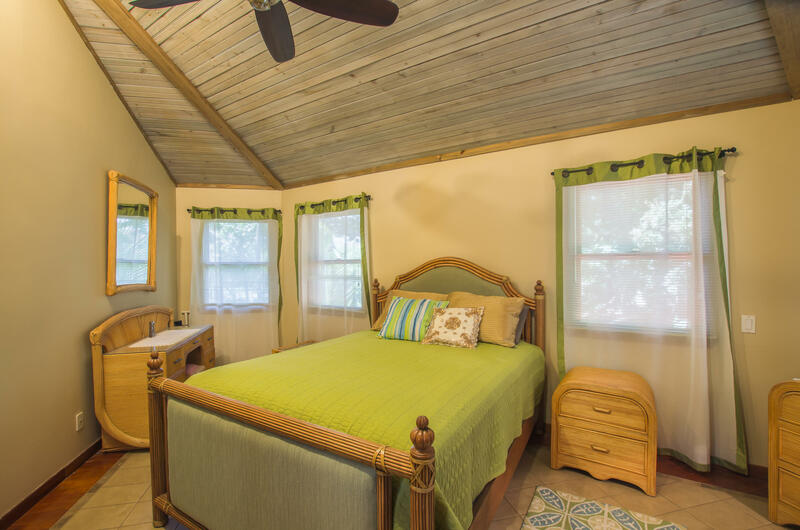 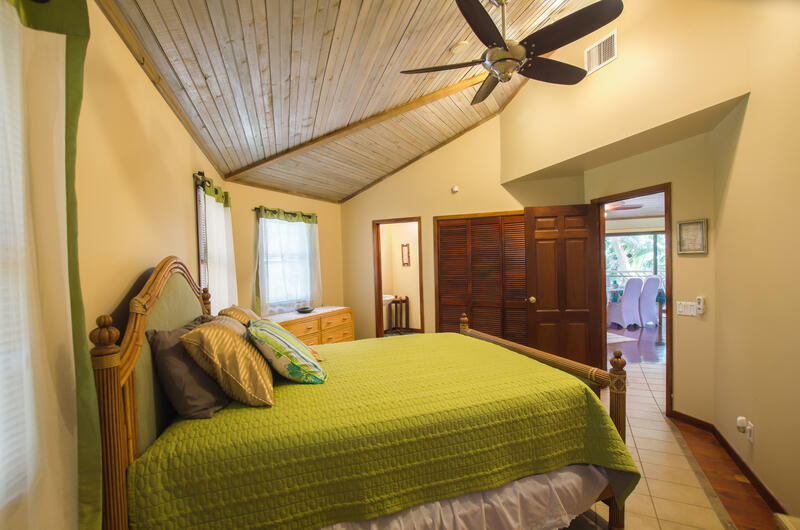 The upstairs unit boasts a beautifully decorative wooden ceiling, 200 square feet of decking with a view, and high-end finishes throughout, including Honduran hardwood floors and granite countertops in the kitchen. 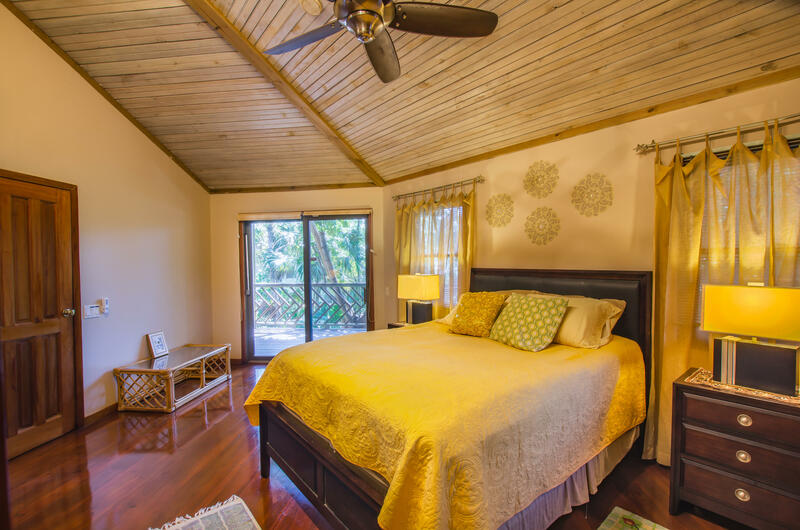 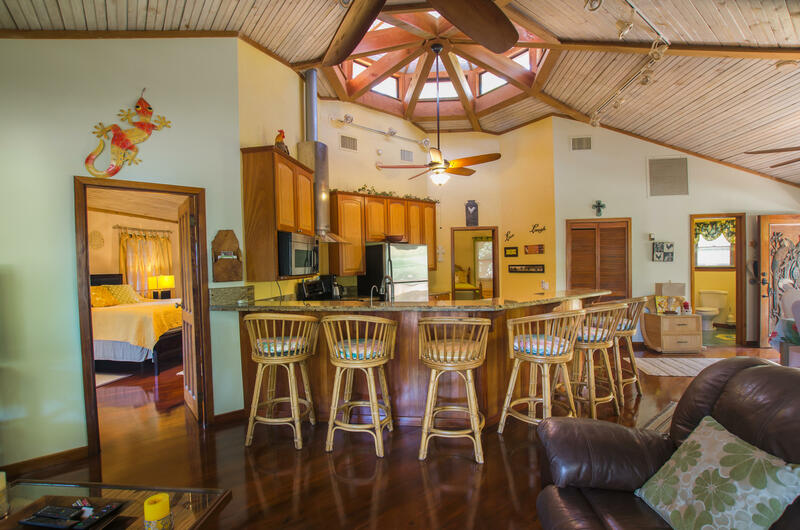 Whether you want to move to Roatan full-time, snowbird in Roatan for the winter, or buy Playa Bonita for a vacation rental option, this home fits the bill for all your ideas. 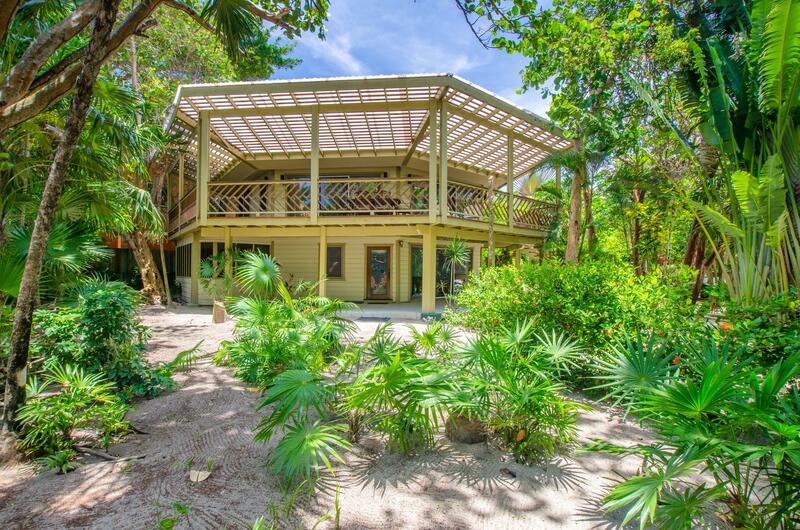 The home offers a total of about 3,800 square feet resting just 50 steps from the calm water off West Bay Beach. 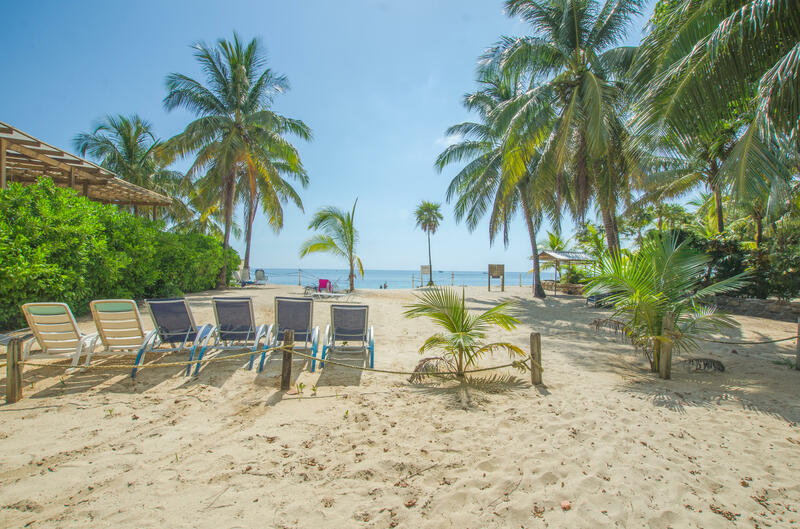 You can literally step out your front door into the sand and just walk straight ahead into the water for a morning swim. 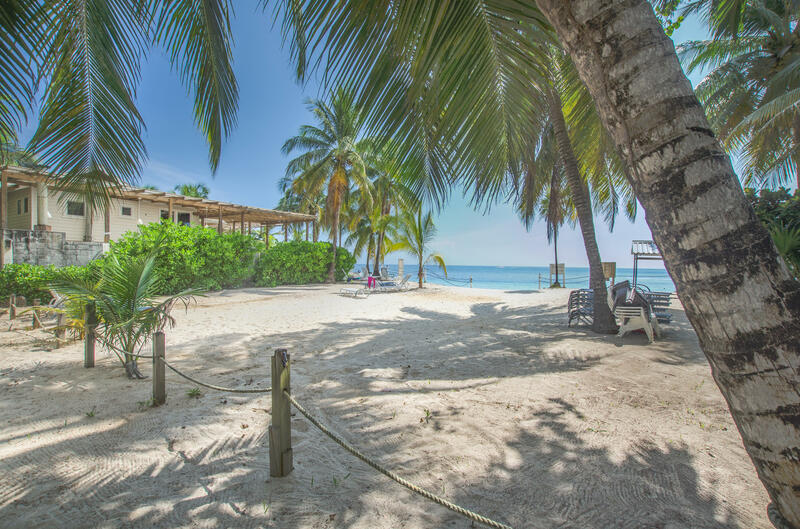 But when you want to relax at home, Playa Bonita feels like a world apart. 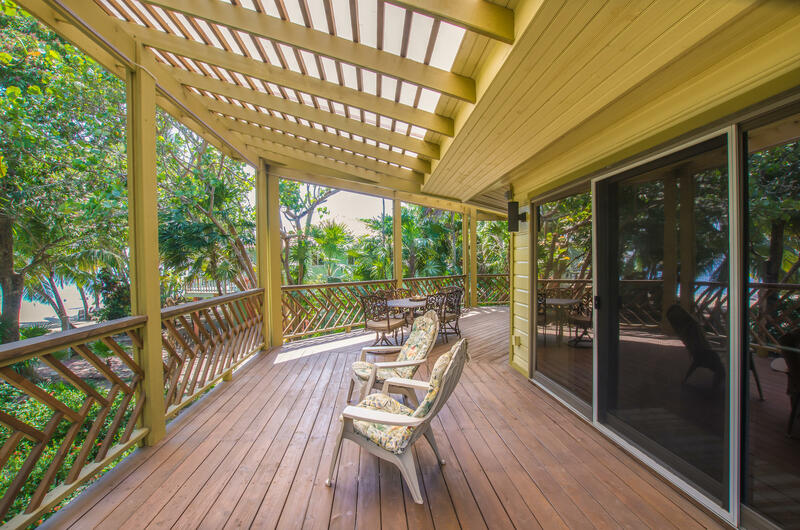 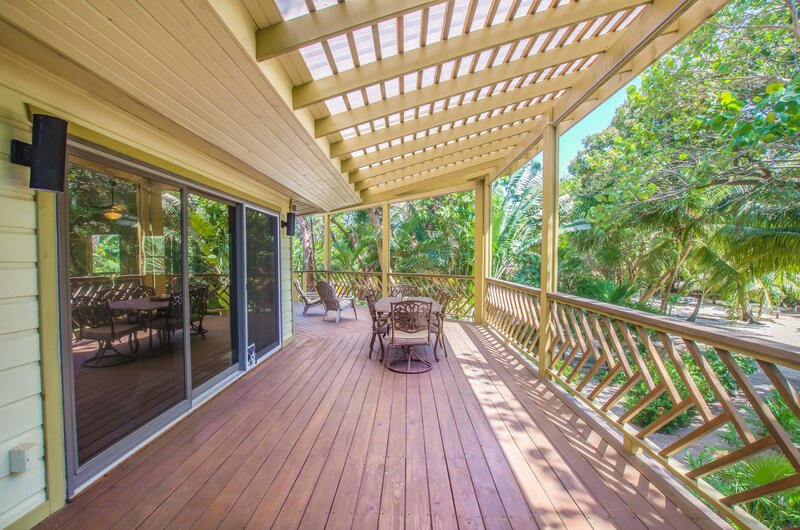 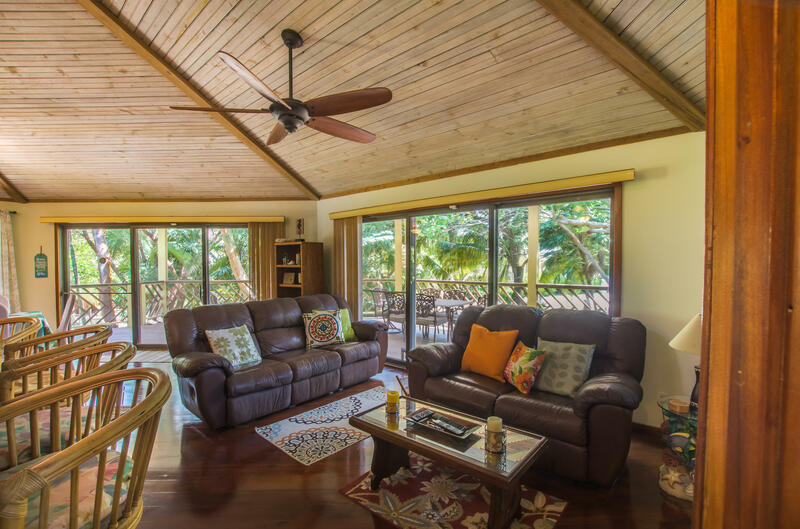 With both screened-in porches and open-air decking, you can revel in the pristine, natural beauty of Roatan in the comfort of your own home. 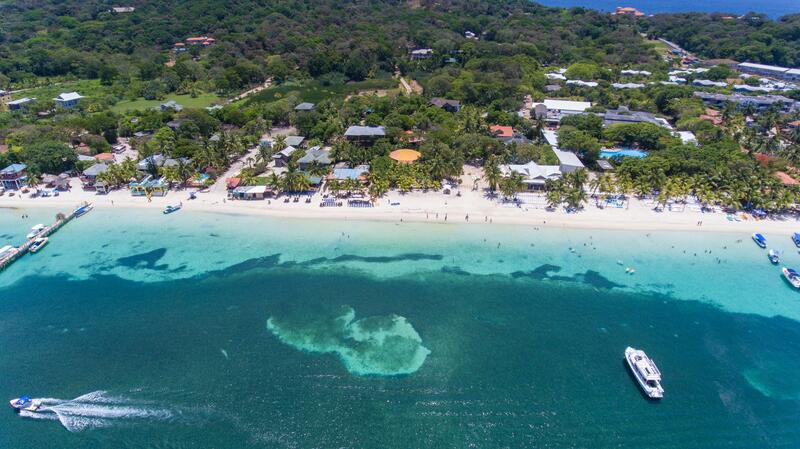 Playa Bonita comes with a 1.6 Kilowatt solar array with battery backup that can provide up to 5 hours of basic electricity if there is a loss of primary power, as well as a solar hot water system. 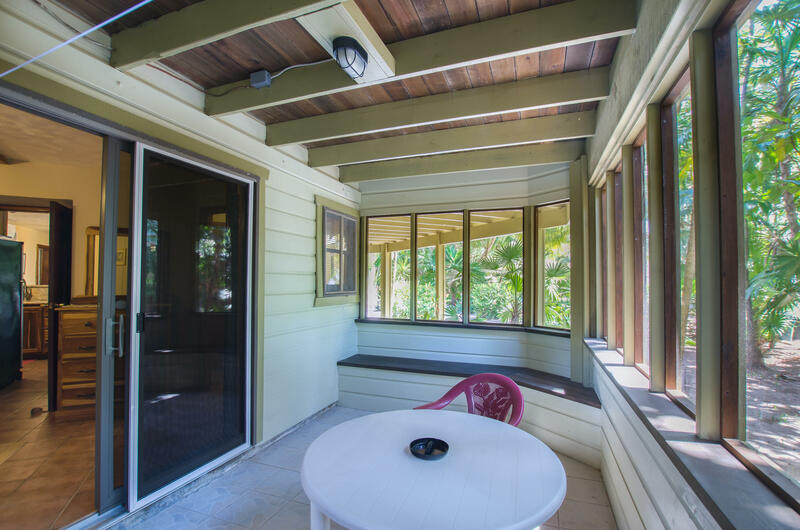 A wireless security system is perfect for rental guests to access the home safely and securely, plus it will put your mind at ease as the homeowner! 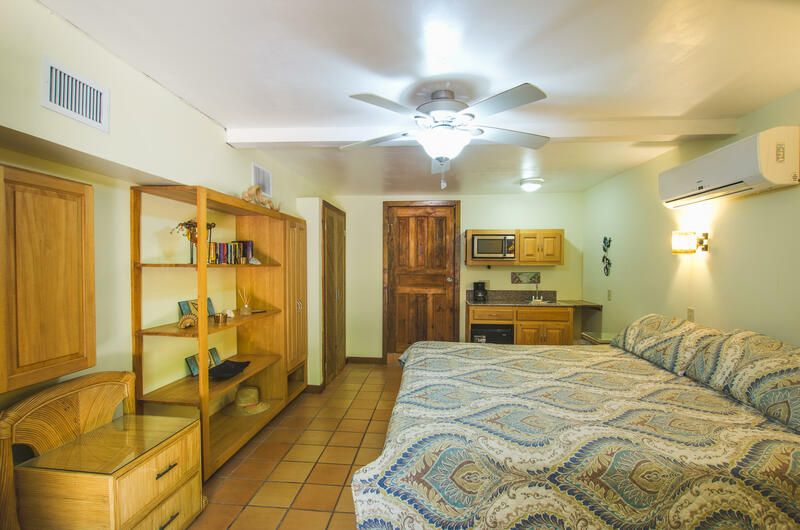 Playa Bonita is also already hooked up with cable TV and wireless internet. 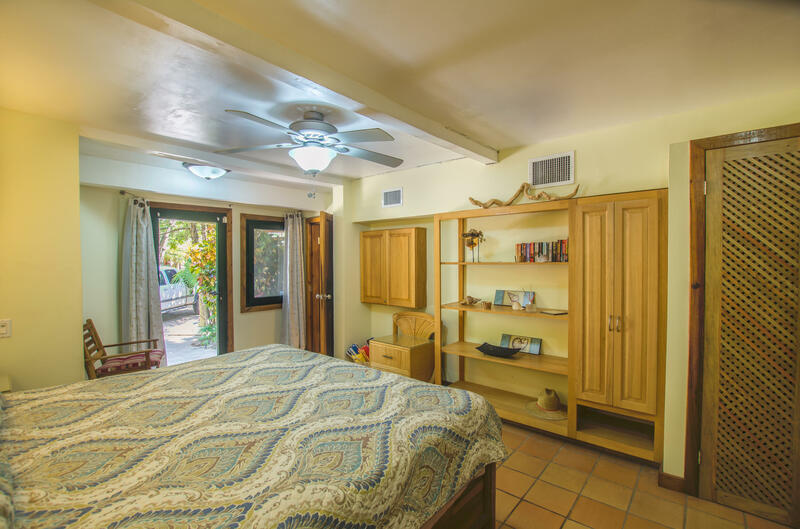 The home also has air conditioning. 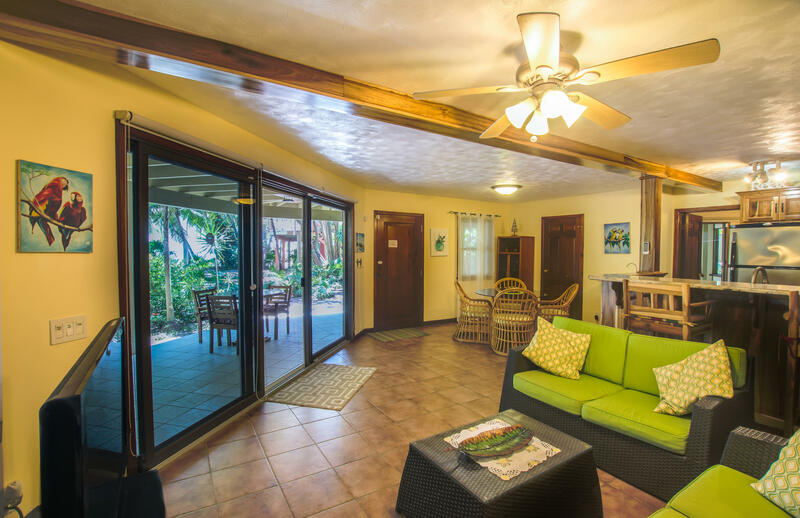 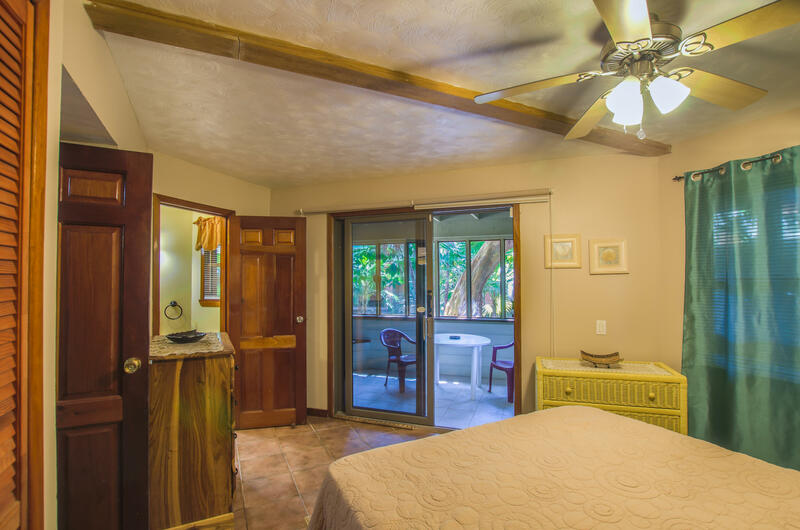 Vacation Rental Investment Option The ground floor of the Playa Bonita duplex offers two bedrooms that can actually provide three options for rental income: Master suite rental, Studio rental, or Combo 2-bedroom rental. 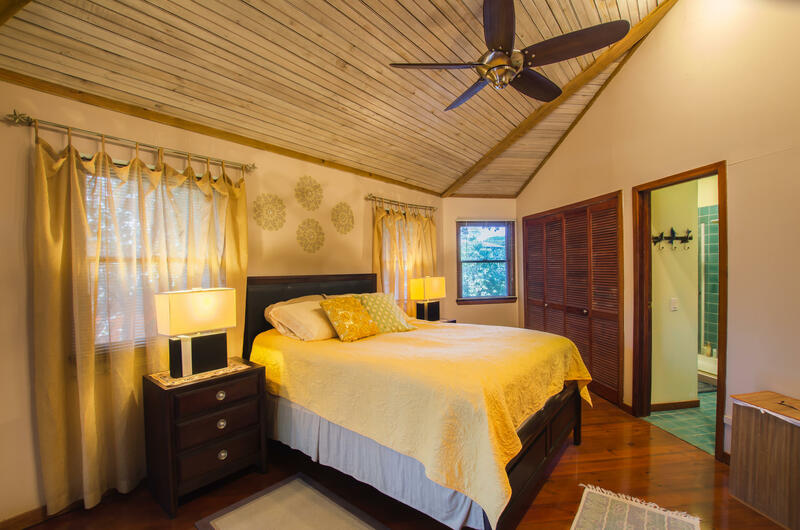 If you're thinking of investing in a vacation rental home in Roatan, Playa Bonita could not be more perfect. 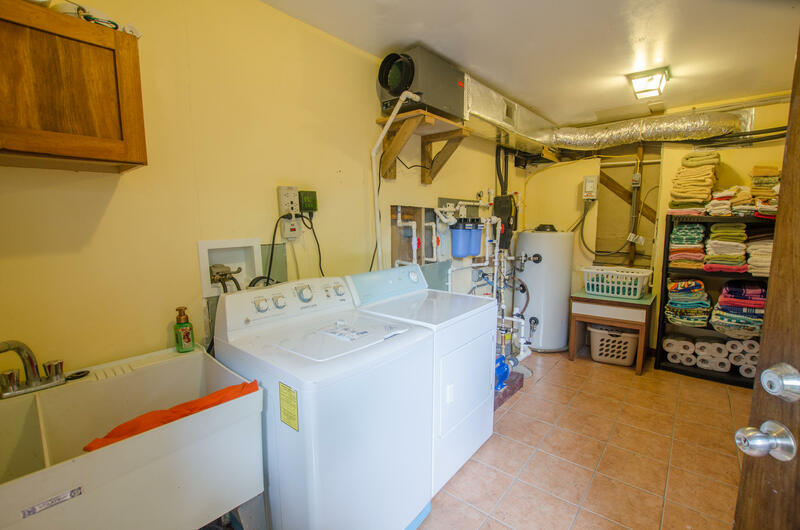 You have the option to live in part of the unit while renting out the other part or parts. 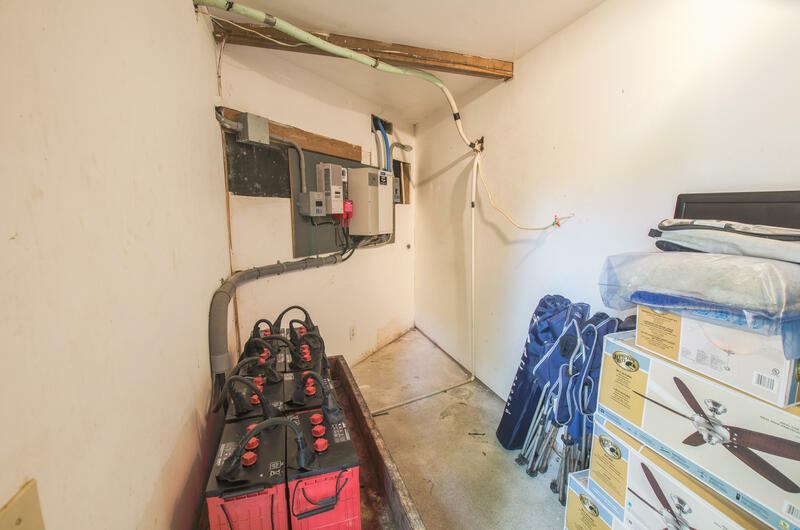 Or rent out all the units together or separately. 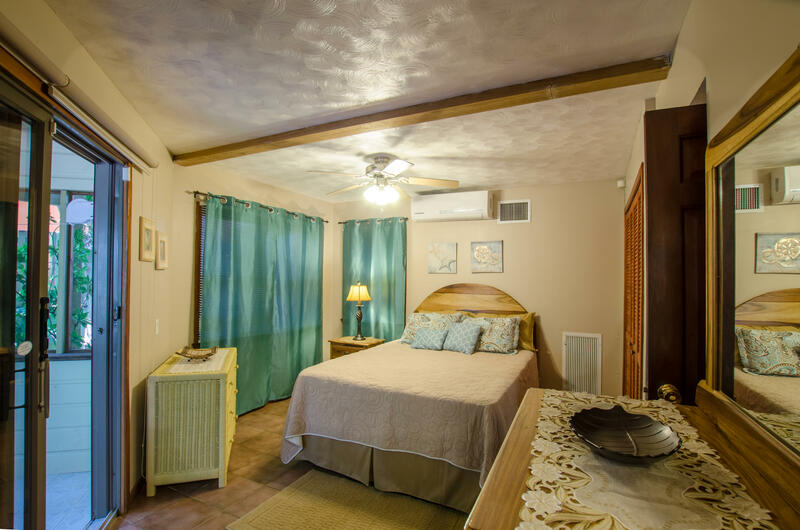 Maybe rent the downstairs studio long-term and rent the downstairs master suite for vacations, all while living upstairs to enjoy your own slice of paradise...whatever you decide to do, you have plenty of choices here! 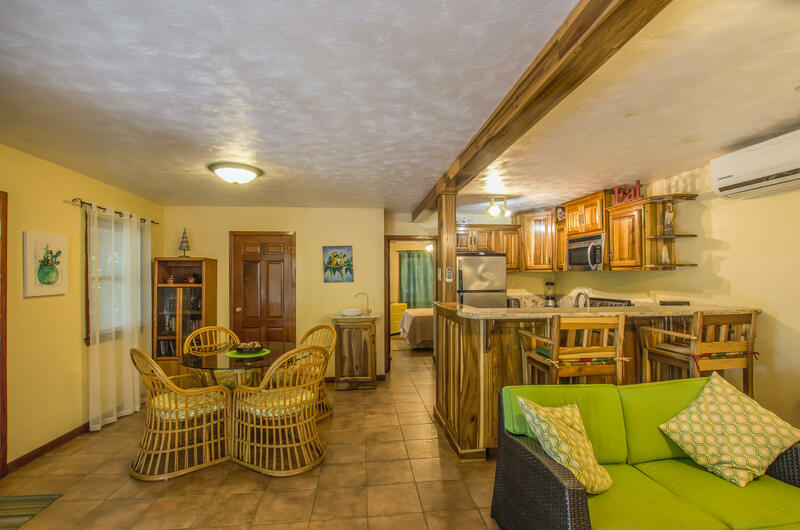 Owning a vacation rental on West Bay Beach makes your selling so much easier. 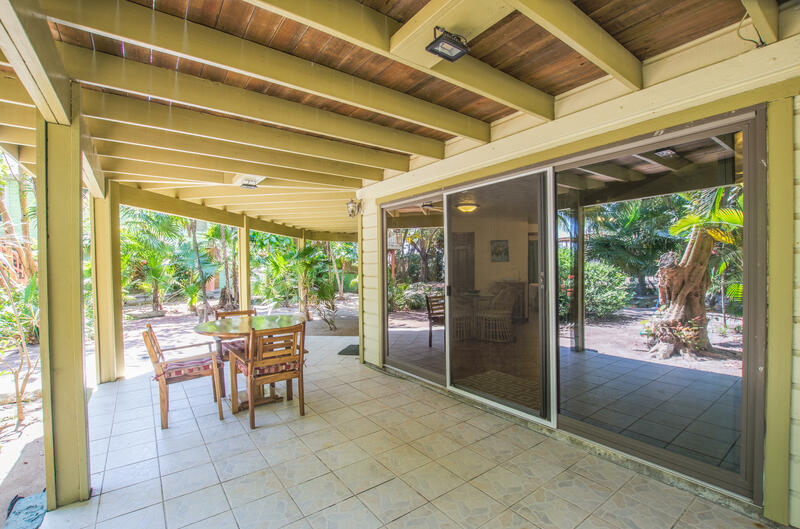 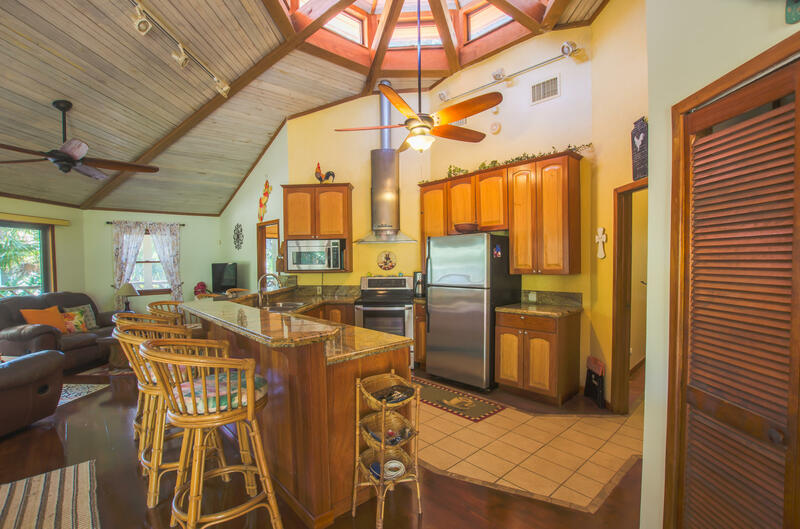 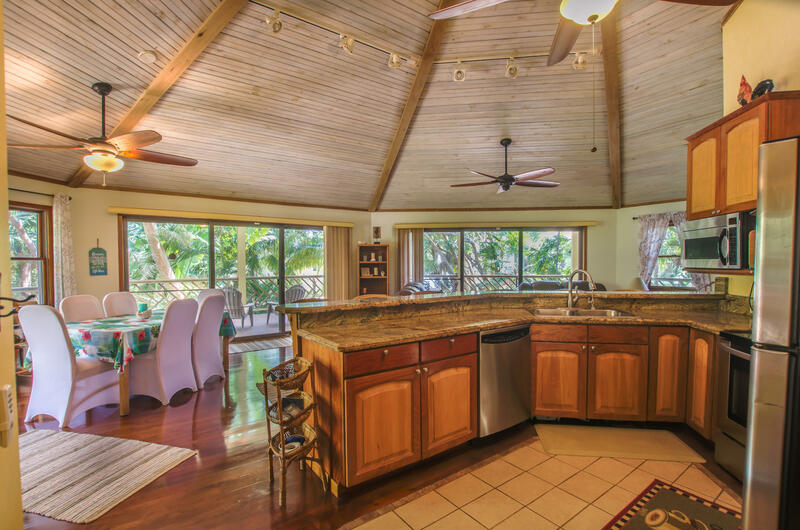 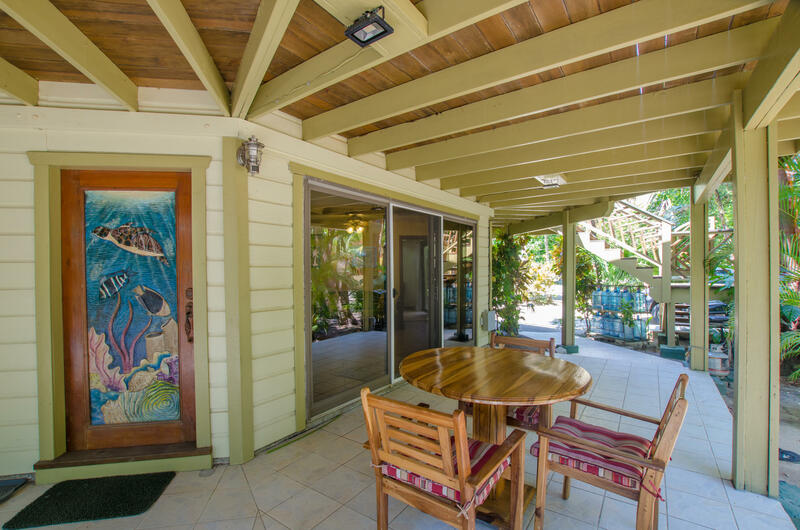 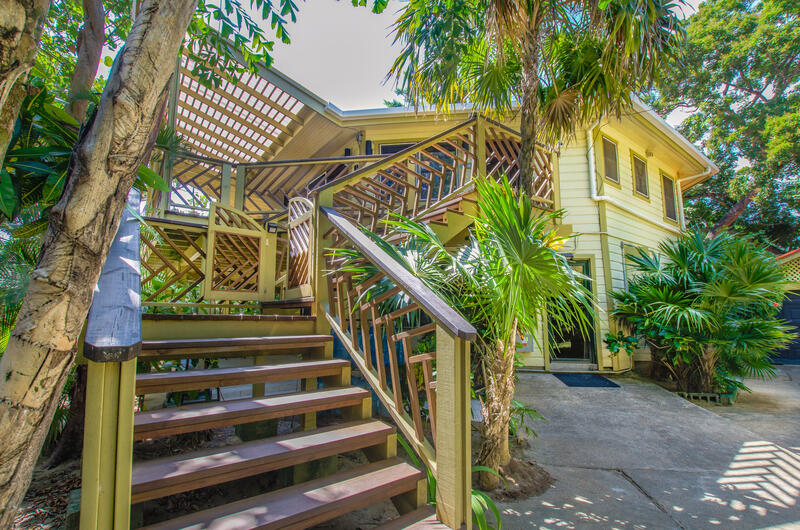 This home is walk-in ready for a new owner to continue renting to tourists immediately. 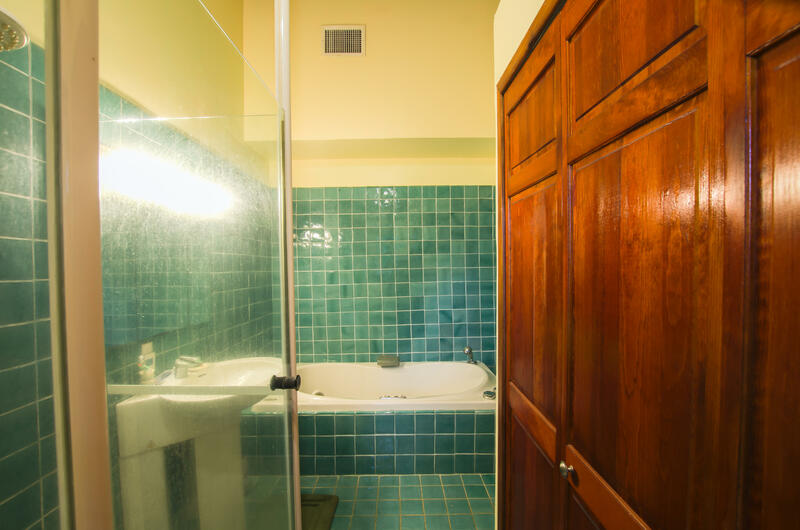 Or you could invest a bit in upgrading and updating the home with a few small tweaks to rent it at an even higher rate. 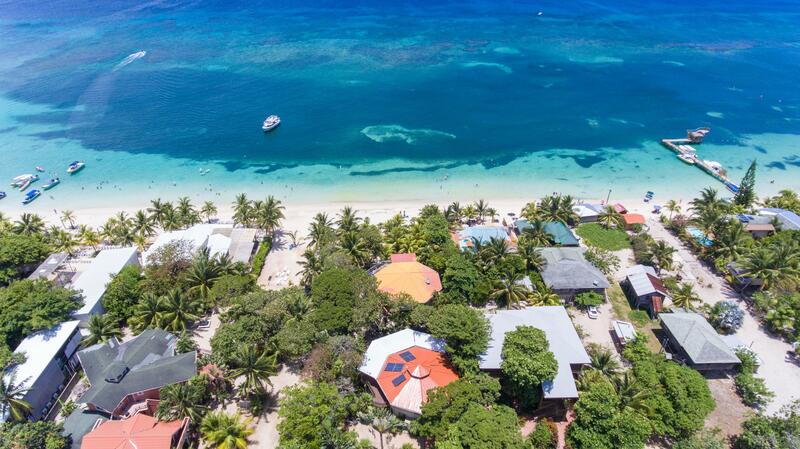 Playa Bonita is an excellent Roatan investment option! 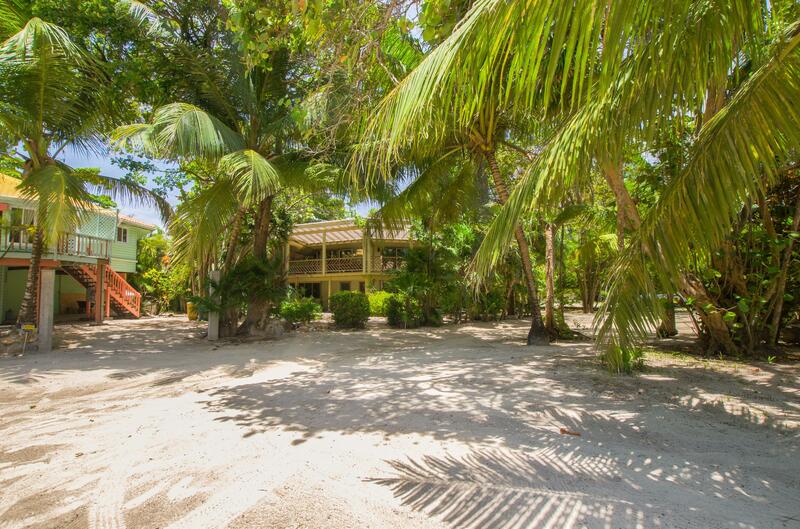 Of course...you might just decide you never want to leave paradise so you'll live here full-time forever! 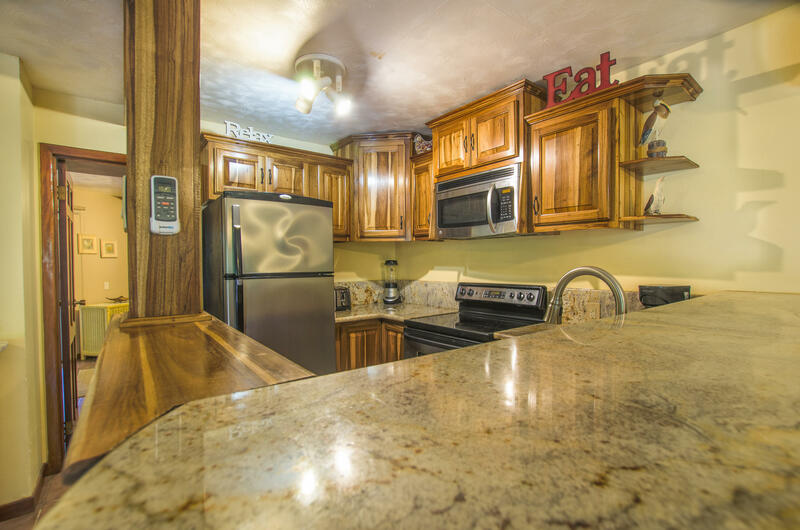 You wouldn't be the only one to decide to do that. 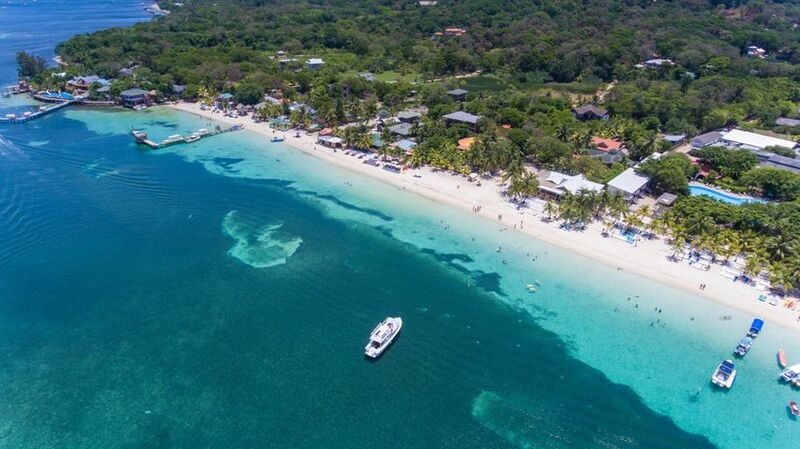 You'll find yourself in good company here in Roatan! 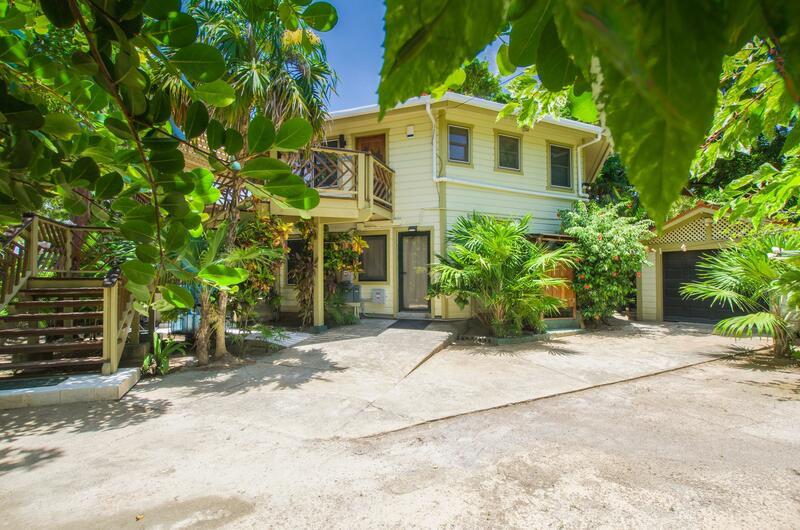 West Bay Beach homes are rare and this one is a true investment opportunity.